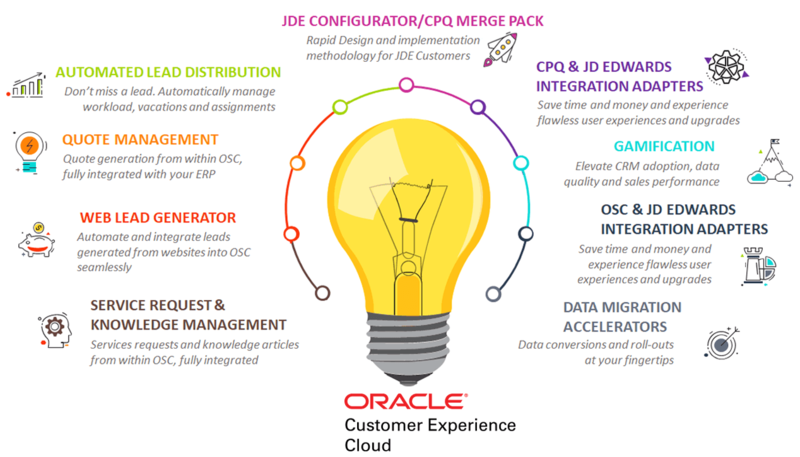 Companies preparing to implement, implementing, or considering purchasing Oracle CX Cloud applications can enhance their experience and ROI by leveraging Smart Add-Ons from Circular Edge that can be deployed quickly utilizing out-of-the-box functionality to improve lead creation and distribution, CRM adoption, data quality and even generate simple quotes and service requests. "Circular Edge was able to define, design and develop complex real time and batch integrations with a level of quality that I haven’t seen in my 20 years of implementing JD Edwards." "CX - In only 8 weeks, we were able to get our sales team up to date with the tools to increase our revenue and customer satisfaction. Getting mobile was just an added benefit to enable our team! Circular Edge knowledge of JDE and best practices was critical to get the processes optimized on both applications."